I was happy to be able to attend the oral presentation from Bluebirdbio, in collaboration with Celgene on their CAR-T program: bb2121. This is a novel anti-BCMA CAR T cell therapy for relapsed/refractory multiple myeloma (RRMM). Michael Tuohy just in time for the Bluebird bio presentation. The conclusions of bb2121 at ASH demonstrated deepening and durable response with manageable safety profile. In my opinion, this is extremely exciting, but still very early. CAR T remains something that I’ll continue to watch closely. 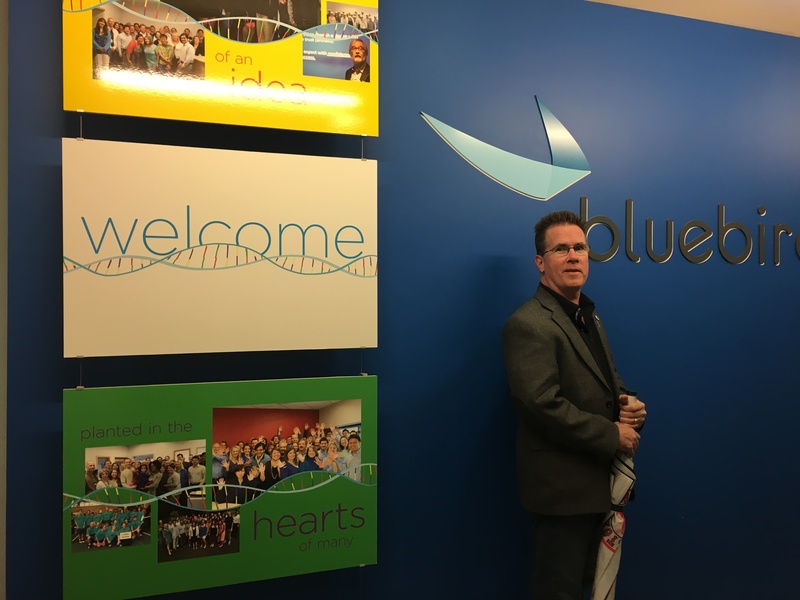 On a side note, my wife, Robin and I were invited to speak at Bluebird biotech company in Cambridge last Spring. The people at Bluebird are enthusiastic and focused on their research and were very interested to meet me to hear a myeloma patient story. We had the pleasure of sharing our journey with the entire company, and an additional opportunity to meet with teams from the Oncology Clinical, Regulatory and Program teams, and also the Immunotherapy Research Team. What an amazing gathering of brainpower! Not only were they engaged in their work, but passionate too. Each shared their personal story of why they were at Bluebird and committed to its research. I am thankful and impressed to see such dedication and passion; and now to see their work presented at ASH, and knowing the story behind the research brings it full circle. Now, we can look forward to bb2121’s future and hope it continues to move forward to someday be a new FDA approved option for RRMM patients!